The 4 incredible trades you’re about to receive are “locked in” for 20%+ price upside in the next 12 months. AND we’ll bag 7.5% average dividends—with the highest yielder of the bunch throwing off an astonishing 8.1%! That’s a 28% total return! Thousands of Americans have already signed up. If you want to grab your share, you must act now. When I first discovered what I’m going to show you now, I was sickened … at first. A bombproof reliable way to get rich by grabbing the biggest dividends on the market … AND fast double-digit upside, too! Here’s the truly shocking part: you can get both of these—a massive CASH dividend and booming price upside—in one single buy. The astonishing investments with this mysterious power are so far off the radar, you’ll never hear about them from your advisor or the media. But I’ve been investing my own private cash in them for years! Because they let you wring HUGE cash payouts out of the blue chip stocks you know very well. You know the companies I’m talking about. Those would be the skinflints of the S&P 500, which dribble out sub-2% dividends, even though you and I know they can easily afford to pay us more. Take Visa (V), a multi-billion-dollar juggernaut with the audacity to offer up a pathetic 0.7% dividend yield today. Meantime, the global-payment colossus is hauling in MASSIVE cash flows from the thundering trend toward a cashless society! And yet all management can pay us is a measly 0.7% every quarter. Because there’s no way Visa can’t do better than that, especially as it pays out a mere 15% of its cash flow as dividends. This company needs to step up. But don’t count on them to do so. And as shareholders, there’s not much we can do to twist management’s arm. Here’s the worst part: Visa is far from alone. Take a second look at Alphabet, the second name on that list (still known to most of us as Google). This member of the elite club of FAANG stocks (Facebook, Amazon, Apple, Netflix and Google) pays no dividend at all while sitting on $109 BILLION in cash, PLUS cash flow that’s skyrocketed 226% in the last decade. But here’s something I know will surprise you: there’s a secret way to yank this cash right out from under the two chief Googlers themselves: President Sergey Brin and CEO Larry Page. Just how are we going to pull THAT off? Easy. With the Dividend Conversion Machines I mentioned earlier. One of these unbelievable investments takes Visa’s 0.7% dividend and magnifies it to a 9.7% CASH gusher. Another takes the 0% that Google pays and hands us a 9.7% dividend. That’s right! Out of thin air. Before I reveal what my Dividend Conversion Machines are, let me tell you what they’re NOT. First, if you think what I’m going to show you today has anything to do with options, think again. And no, my Dividend Conversion Machines don’t use dangerous derivatives or expose you to the terrifying ups and downs of penny stocks, cryptocurrencies, unproven biotech or other headline driven issues, either. What I’m going to show you is perfectly SAFE—just like buying regular blue chip stocks based right here in the USA. So if you’ve ever bought a plain-vanilla blue chip like, say, Disney, you’ve already done everything you need to pick up the 4 Dividend Conversion Machines I’m about to show you. Instead of getting Disney’s 1.6% dividend, start collecting an 7.5%+ income stream! The best part is, these Dividend Conversion Machines can work their magic on just about any blue chip you can imagine. Take Pfizer (PFE), payer of a 3.3% dividend as I write this. That’s not bad, more than twice what you’d get from the average scrooge on the S&P 500. But thanks to one of these Dividend Conversion Machines, Pfizer’s payout leaps to an incredible 9.8%! And you won’t have to sacrifice a penny of growth to start tapping that massive cash stream. 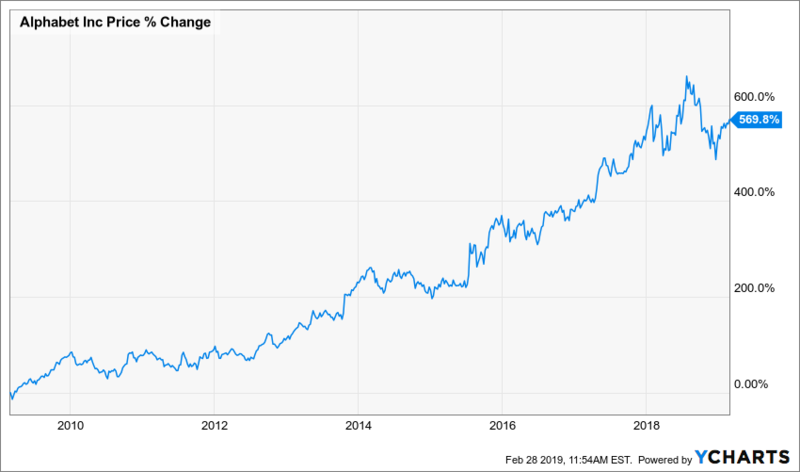 I know I don’t have to tell you that Alphabet stock (to return to our earlier example) has turned in an incredible run over the past few years. Imagine This Stock With a 9.7% Dividend Yield! I could go on, but I think you can see what I’m giving you here. Nothing less than the key to making THOUSANDS in “bonus” profits by purchasing stocks throwing off double-digit dividend yields and the explosive overnight price gains you’d expect from a nimble tech company! All backed by a safe-and-sound household name. The incredible investments I’m going to show you in just a second are 100% as safe as investing in “stodgy” blue chips—except you get retirement-enhancing dividends and BIG upside too! Step 1: Sell EVERYTHING now! Step 2: Shift your cash into these Dividend Conversion Machines—especially the 4 I’ll pull back the curtain on below. When you do, you’ll set yourself up for easy 7.5% average dividends AND outsized 20%+ GAINS in the next 12 months. That, as I mentioned off the top, is a rock-solid 28% total return … with no legwork at all! The funny thing is, even though my Dividend Conversion Machines “force” massive cash payouts out of household-name blue chips, many of these investor favs have thrown off payouts up to 11% before—completely on their own. 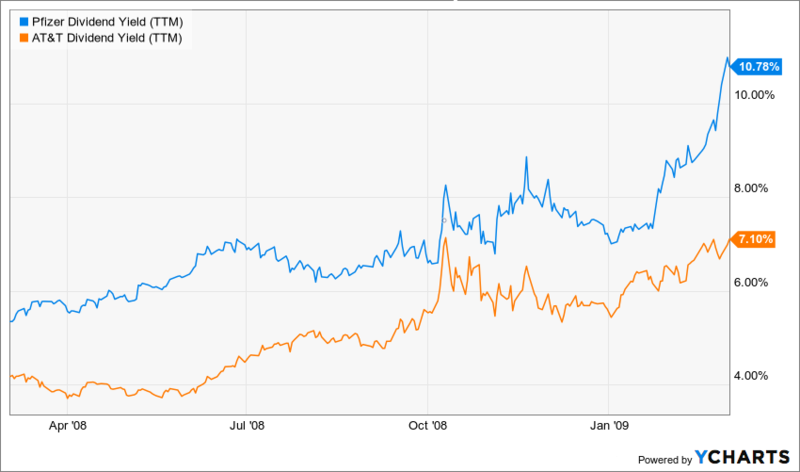 Just about a decade ago, in March 2009 (and for only a few days), huge names like Pfizer and AT&T (T) gave investors massive 7%+ dividends. Heck, Pfizer’s payout spiked all the way up to 11%! The catch? You needed nerves of steel to plunge in while everyone else ran screaming from the worst market crash since 1929. 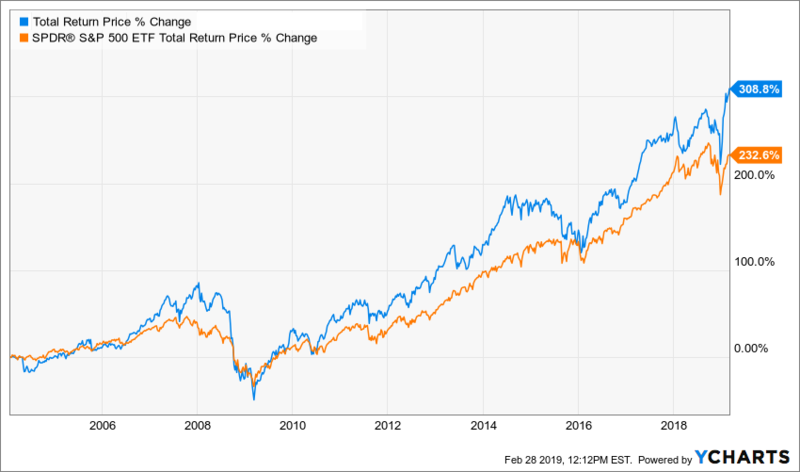 If you owned stocks during the financial crisis, you’ll no doubt remember March 2009 as the month the market finally hit bottom—but of course, that fact was far from obvious at the time. Back then, the dividend yield on the average S&P 500 stock spiked to 3.9%, more than twice what you’d get today. That, of course, is because share prices had nosedived, driving dividend yields up as they did. And as I just showed you, some big-name blue chips boasted yields far higher than that. But you needed monk-like calm to grab them. When I say “monk-like,” I’m not kidding around. Cast your mind’s eye back to those frightening days for a second. The S&P 500 had plunged more than 50% from peak to trough. Many everyday folks’ retirement dreams lie in ruins. Foreclosures soared to record highs. Sure, slogans like “Buy when there’s blood in the streets” are easy to say. But actually overcoming fear and hitting the BUY button at a time like that is almost impossible for most people. 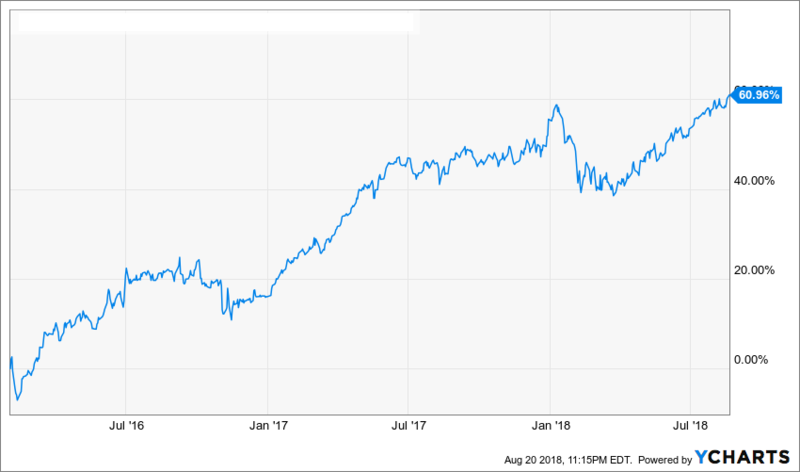 Not only that, you would have needed plenty of cash ready to deploy fast, because the fat yields put up by the likes of Pfizer and AT&T went up in smoke almost immediately, as the rebound kicked in and S&P 500 dividend payments rose from the dead. Now let’s leave that dark memory of those terrible times here, because there’s a reason why I’m telling you this now. It comes back to my Dividend Conversion Machines. You see, they let you grab the same massive dividend yields the best blue chips paid in that fleeting moment back in 2009 right now, thanks to my ignored Dividend Conversion Machines—but you won’t have mere days to act. You can grab these lofty payouts whenever you’re ready: all at once, on an automatic yearly or monthly schedule … or simply whenever you have new money to invest. But I’d mention that you should at least start moving cash into the 4 Dividend Conversion Machines I’ll show you in a second, because each is giving off a once-in-a-lifetime signal that it’s about to explode higher. And as they do, they’ll hand us FAST double-digit price upside while we enjoy our massive dividend payouts! For example, when Dividend Conversion Machine No. 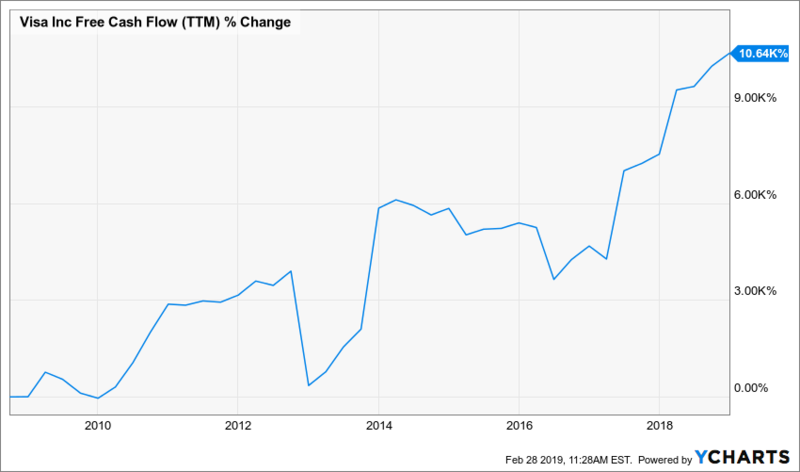 1 (more on this 8.1% dividend payer a little further on) triggered our dead-accurate buy signal on February 2, 2016, we dove in—bagging a market-crushing 61% total return in the process! “Profit Alarm” Hands Us a FAST 61% Profit! And the truth is, we’ve been using this dead-simple indicator for much longer than the last couple years. Back in August 7, 2015, Dividend Conversion Machine No. 4—another of the incredible cash machines I’ll tell you about below (dividend yield: 7.8%)—also gave this unmistakable BUY signal. 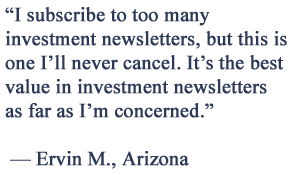 The moment I saw it, I knew what I had to do right away: send out an urgent flash BUY alert to readers of my Contrarian Income Report service. The result? By December 31, 2017, we were up 35.5%, demolishing the market! And a repeat is in the cards, because my team and I are seeing the EXACT same signal from this incredible investment again today. FAST 20%+ upside as the 4 “Dividend Conversion Machines” I’ll show you below explode higher, thanks to a 100%-predictable signal that all 4 are giving off right now. Add that price upside to the 7.5% average dividends these 4 cash-rich investments pay, and you’re looking at an outsized 28% return in the next year! This is probably a good time for me to say a bit about myself. My name is Brett Owens and I’m an unabashed dividend investor. Ever since my days at Cornell and through my years as a startup founder in Silicon Valley, I’ve hunted down safe, stable, meaningful yields. For the last decade, I’ve been investing my startup profits and finding 6%, 7%, even 8%+ dividends, with plenty of double-digit gains along the way. And I haven’t been this excited about an income opportunity in years. That’s because, the 4 Dividend Conversion Machines I’m about to reveal are totally ignored by both everyday investors and big, institutional players alike. This makes them perfect plays for us—especially with the pathetic yields so-called “safe” investments like 10-year Treasuries offer (less than 3% as I write). 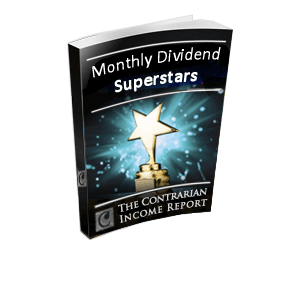 There’s one more thing I need to tell you before we dive into them: each and every one of these 4 Dividend Conversion Machines pays dividends monthly instead of quarterly! So you’ll get the same big dividends every month of the year. No more trying to manage “lumpy” dividends that roll in quarterly while your bills roll in monthly. But convenience is far from the only benefit you get with monthly dividends. They also give you your cash faster—so you can reinvest it faster if you don’t need it right away. It’s a simple adjustment that can mean THOUSANDS more in your portfolio in the long run! So let’s go ahead and dive into my 4 cash-spinning Dividend Conversion Machines now. Each one promises us 28%+ total returns—or better—thanks to the unmistakable profit alarms they’re blaring our way. My first Dividend Conversion Machine specializes in infrastructure stocks, which are about to see a $1.5-trillion investment! 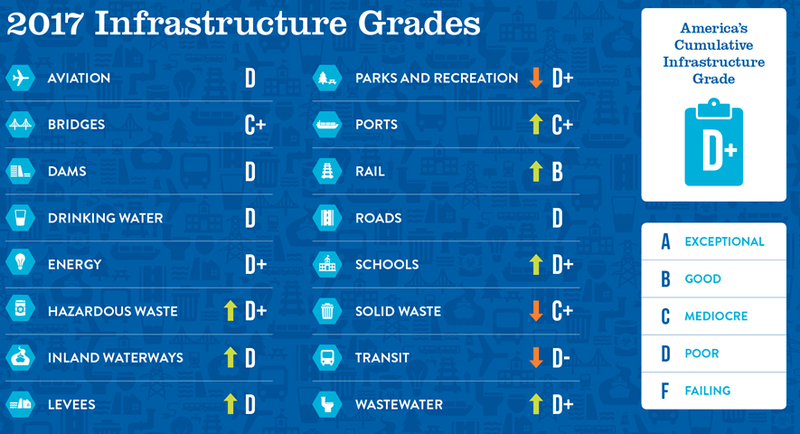 Because the American Society of Civil Engineers gives America’s infrastructure a pathetic grade of D+ and said the country’s GDP will take a $3.9-trillion hit if nothing is done. With that kind of cash at stake, you can bet corporate America won’t stand by and let things get worse. That’s why it pays its army of K Street lobbyists upwards of 3 billion (with a B) dollars a year to glad-hand DC politicians! And of course, there’s nothing your local congressman or woman, senator, governor or mayor loves more than cutting the ribbon on a new bridge, highway or airport expansion. It’s just in their DNA. Enter Dividend Conversion Machine No. 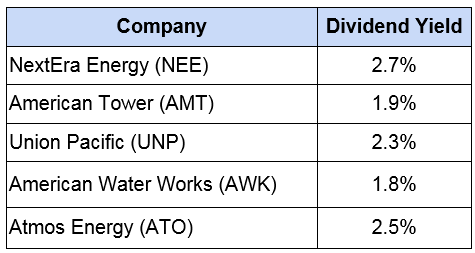 1, which “amplifies” the dividends of some of the biggest names in infrastructure—companies like NextEra Energy (NEE), American Tower (AMT), Union Pacific (UNP), Atmos Energy (ATO) and American Water Works (AWK). These stocks are standing square in the way of the $1.5-trillion infrastructure splurge that’s about to take off. The only problem with buying these stocks on your own? Pathetic dividends! The average yield on the 5 companies in the chart above amounts to 2.2%. So even if you invested a million bucks in these 5 stocks, you’d still only get $22k a year in dividend income. Think about that for a moment: a millionaire with a poverty-level income stream! That’s right; with one click, your $22k of yearly income on a million bucks becomes a retirement-rescuing $80,000! And take a look at how Dividend Conversion Machine No. 1 has crushed the market since inception, with the lion’s share of that return in CASH, thanks to its outsized dividend. To recap: we’re getting in on a guaranteed $1.5-trillion megatrend here, plus a growing 8.1% dividend and 13 years of market outperformance. If that’s not the textbook definition of the perfect investment, I don’t know what is! Don’t miss your chance to climb aboard now. Scroll down and I’ll give you access to Dividend Conversion Machine No. 1 immediately. Our second Dividend Conversion Machine has a wide mandate to invest in just about everything from U.S. Treasuries to South African bonds to mortgage-backed securities. However, instead of purchasing “first-level” fixed income, this fund shops on the fringe of the investment-grade aisle where they can find absolute best bargains. So how do we know this fund and management team are good? Past performance is usually an educational indicator about the quality of a CEF management team and its strategy. 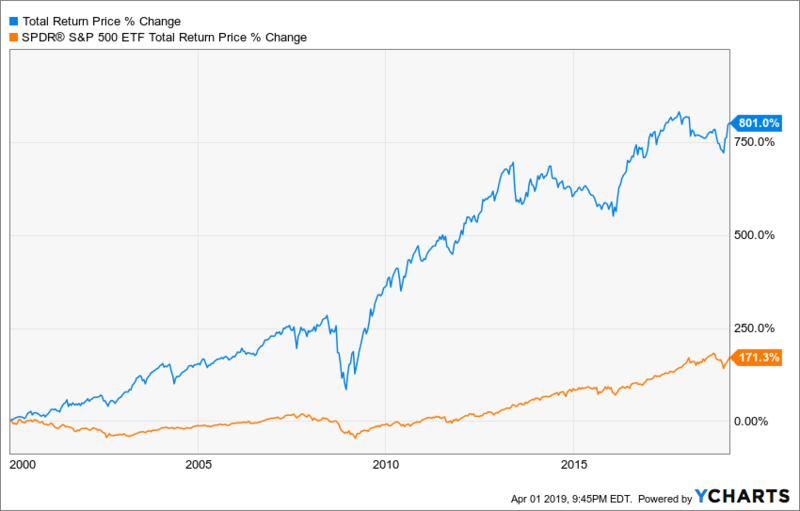 This fund has an amazing four-fold edge over the S&P 500 since 2000, returning 801% (blue line in the chart below) versus 171% (orange line) including distributions. Even better, this team knows they are good too. Senior managers alone own over 100,000 shares in their personal accounts; a rare, bullish sign of insider confidence in the CEF world, where fewer than half of funds have any insider ownership! Our third cash machine swaps out the “common” shares you’re probably familiar with for “preferred” shares of the very same companies. Simple: preferred shares pay much higher dividends than common ones, and they pay them out at fixed rates, too. Take JPMorgan Chase & Co. (JPM). Buy its “common” stock on the market today and you’re looking at a 3% dividend. But buy JPM’s preferred shares through Dividend Conversion Machine No. 4 and suddenly that 3% nearly triples, to a fat 7.4% dividend! This off-the-radar investment is also run by one of the top names in the preferred-stock space, so you won’t have to worry about your cash: he’s delivered a rock-solid 59.4% return in 5 years (almost all of that in CASH) with very low volatility. It’s a set-it-and-forget-it cash machine! Dividend Conversion Machine No. 4: 7.8% with an Expanded Mandate! My fourth dividend conversion machine is perfect for these rate-obsessed times thanks to its recently expanded mandate. The fund recently moved into convertible bonds, which are similar to preferreds but can be converted to stock. So if, say, management suddenly sees strong growth potential in a company, it can move from holding the bond to being a shareholder to grab a piece of that upside. That flexibility is a huge plus—but that “trigger point” is something you need a trained pro to spot. 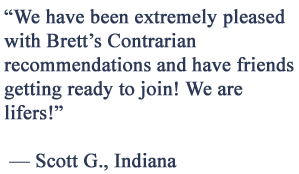 Fortunately, we’ve had a seasoned expert running this fund since its launch 15 years ago (and working the credit markets since the 1980s). 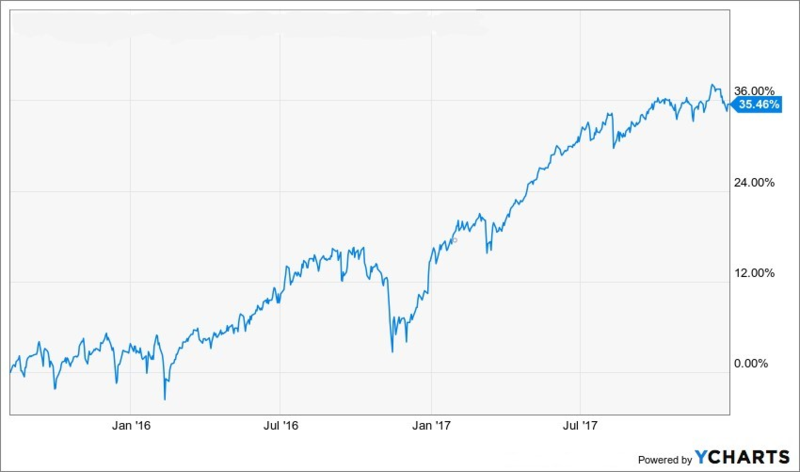 And convertible bonds behave a lot like preferred shares, so this new mandate fits his skills to a T.
Now let me show you how to get my complete research on these 4 Dividend Conversion Machines—primed to hand us an outsized 28% total return in the next 12 months—right NOW. It’s only a matter of time before other investors catch on to these Dividend Conversion Machines and start tapping the outsized cash hoards American companies are greedily keeping to themselves. So the time to buy is now, while the incredible investments that let us grab this secret cash stash still trade at deep discounts. I’d normally sell this breakthrough report for $99 (an absolute steal given the revolutionary investment secrets it contains). But today I’m going to GIVE you a copy FREE! Everything you need to know before you invest in these 4 dream investments: names, ticker symbols, buy-under prices and my complete analysis of every one. It’s your detailed roadmap to a 28% total return in the next 12 months! Full details on how this elite class of investments “forces” outsized 7.5%+ dividends from stingy household-name stocks like Microsoft (MSFT), JPMorgan Chase (JPM) and more. The whole incredible story on how my pinpoint-accurate “profit alarm” tells us when to buy these Dividend Conversion Machines—and when to sell them, too. If you’ve read this far, I’m guessing you think these Dividend Conversion Machines might be perfect for your portfolio. That’s a wise judgment. Because to be honest, they’re ideal for any investor: if you’re retired, their outsized dividend payouts can pay your bills (and don’t forget that these fat payouts roll in every month, just like your bills do). And if you’re still working and building up your nest egg, you can roll your cash back into these 4 investments, tapping into even more of their “baked in” price upside and increasing your income stream as you do! So let’s not beat around the bush any longer. I’m ready to give you a copy of “4 ‘Dividend Conversion Machines’ for 7.5%+ Dividends and BIG Upside” at no cost whatsoever. There’s only one catch—and it actually works in your favor! 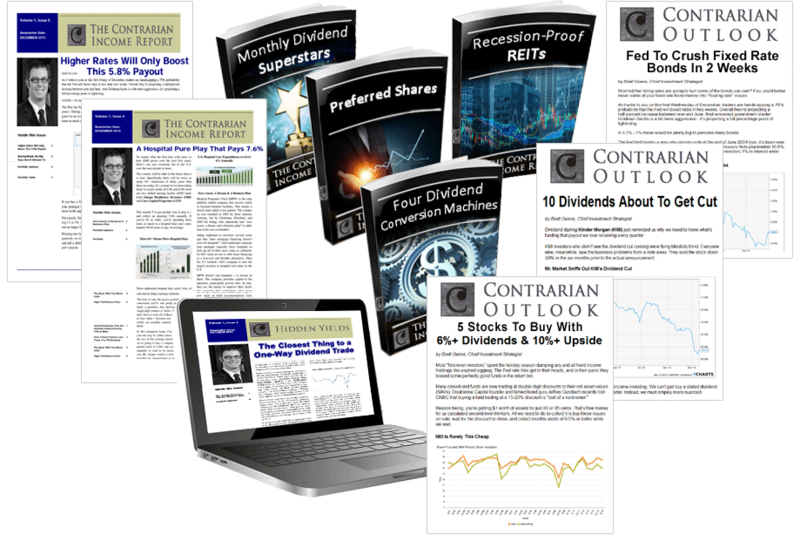 To get this breakthrough report and start tapping my 4 Dividend Conversion Machines today, all you need to do is sign on for a no-risk, no-obligation 60-day trial of my research service, Contrarian Income Report. 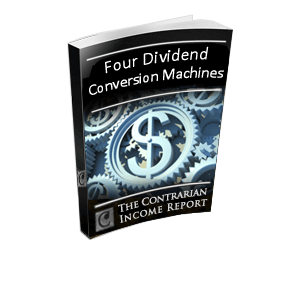 I created Contrarian Income Report to help you uncover ignored income plays like my 4 Dividend Conversion Machines before the herd bids their prices through the roof. Right now, there are 20 high-yield stocks and funds in our CIR portfolio, and you get instant access to each one the moment your no-risk trial starts. PLUS you’ll get my next 2 NEW monthly issues. Every new investment you get in Contrarian Income Report comes with a simple guarantee: it will pay SAFE 6% dividends—or better. And 4 holdings in our portfolio go way further than that, delivering 9%+ income right now. So just by “swapping out” your blue chips for these high-powered dividend stars, you could double, triple—or even quadruple—your income. And you could do it TODAY! More on this proven dividend-investing service in just a moment. Inside you’ll find my favorite Dividend Conversion Machine for investing in preferred shares. This undercover investment taps the best preferred stocks out there and pays you a rock-solid 7.4% dividend today. The high yield is great, but this incredible buy’s best quality may be its lack of correlation with the broader stock market. And if the market does hit a wall, you can rest assured your dividends are SAFE. You can just keep collecting these rich cash payouts till the storm subsides! 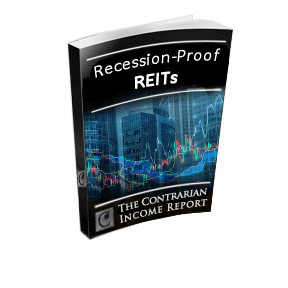 Your FOURTH guide, “Recession Proof REITs: 2 Plays With 7%+ Yields and 25% Upside,” which gives you my 2 favorite real estate investment trusts (REITs), with annual dividends up to 11.8%+ and easy 25% upside from here. Instant access to all 20 picks in the members-only Contrarian Income Report portfolio, including my latest buy and sell recommendations, buy-under prices and everything you need to know to start tapping these 7%+ dividend payers with confidence. New investing ideas on stocks I’ve been watching and analysis of major market events delivered straight to your inbox every week. Breaking news on our portfolio stocks—the minute I get my hands on it. I’ll have an eye on all 19 of our holdings 24/7 and will send a flash alert right away if there’s ever any change in our position. My monthly research bulletin on the first Friday of every month, including new portfolio additions, updates on existing positions and an overview of trends and events that may affect our holdings. 24-hour access to our password-protected members-only website, to access all of our resources, archives, special reports and the full portfolio. A quarterly live, members-only webinar, where we’ll run through the latest news on current portfolio recommendations and I’ll personally answer member questions. Fast replies to your questions—if there’s something you need to know about your subscription, just email our customer-service team any time, or call our New York office during regular business hours without waiting on hold or navigating those annoying phone menus. for 10 Cents a Day! Heck, the 4 reports you’ll get free are worth 4 times that much. And even a small position in any one of the picks mentioned above could easily cover that in just the first couple weeks. 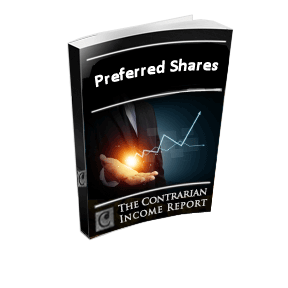 So I’ve arranged for a small number of investors to take 60% off the regular price and try out Contrarian Income Report for just $39. PLUS you can try it at no risk for 60 days, thanks to my 100% Ironclad Guarantee (more on that shortly). That’s just over 10 cents a day! I don’t know about you, but I can’t remember the last time I saw anything you could buy for a dime. To be honest, I can’t believe my publisher went for it. Which is also why I’m wary that he very well could cancel this ridiculously cheap price at any time, so I urge you to take advantage of it right now—today, while this is in front of you. 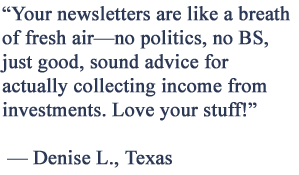 Then sit back and enjoy the next couple of issues of Contrarian Income Report, check out my weekly column and all of the other member benefits. Plus you’re welcome to keep all 4 Special Reports—including the names, tickers and my complete research on the 4 amazing Dividend Conversion Machines I told you about today—with my thanks for trying it out. So, you get a 60% membership discount (or a discounted price that amounts to around a dime a day), my 4 latest investment reports and weekly email updates and alerts. And the whole wealth-building package is “insured” by a 100% money-back guarantee. I don’t see how you can lose here, as I’m the one taking all the risk! So go ahead and click the button below to get started now. In the coming months, many investors will struggle to get by on their paltry 2% and 3% payers, holding their breath for the next signal from Washington on trade wars and interest rates—and fearful of what might happen in China or the Middle East. 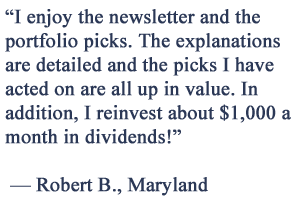 But my Contrarian Income Report readers and I will rest easy thanks to our super-safe Dividend Conversion Machines and the 20 stocks in our portfolio, which hand us nearly 8% average dividends. We’ll also be looking at nice 10% to 20% gains (or more!) over next 12 months. Don’t miss this chance to join us. P.S. Since my recommendations are contrary to prevailing popular beliefs, they have a habit of rallying quickly as soon as the mainstream herd catches on to what they’ve been missing. I encourage you to get started right now so you can get my 4 Dividend Conversion Machines at a good price! Even a small position in any one of these picks will easily cover a full year’s membership … most likely before your 60-day trial even ends!